Prevent future engine problems with 4 oz. Ethanol Shield. This year round fuel stabilizer is used for your power equipment with 2-cycle and 4-cycle engines. This preventative maintenance formula eliminates then prevents ethanol related problems. It removes water, prevents corrosion, provides easy engine starting all year and keeps stored fuel fresh. Keep your Sno-Tek snowblower in top shape with this engine maintenance kit. It includes 5W-30 oil, a spark plug, fuel stabilizer and a replacement ignition key. For use with models using an LCT storm force 208cc engine. Ethanol Shield Fuel Stabilizer 118 mL Prevent future engine problems with 4 oz. Ethanol Shield. This year round fuel stabilizer is used for your power equipment with 2-cycle and 4-cycle engines. This preventative maintenance formula eliminates then prevents ethanol related problems. It removes water, prevents corrosion, provides easy engine starting all year and keeps stored fuel fresh. 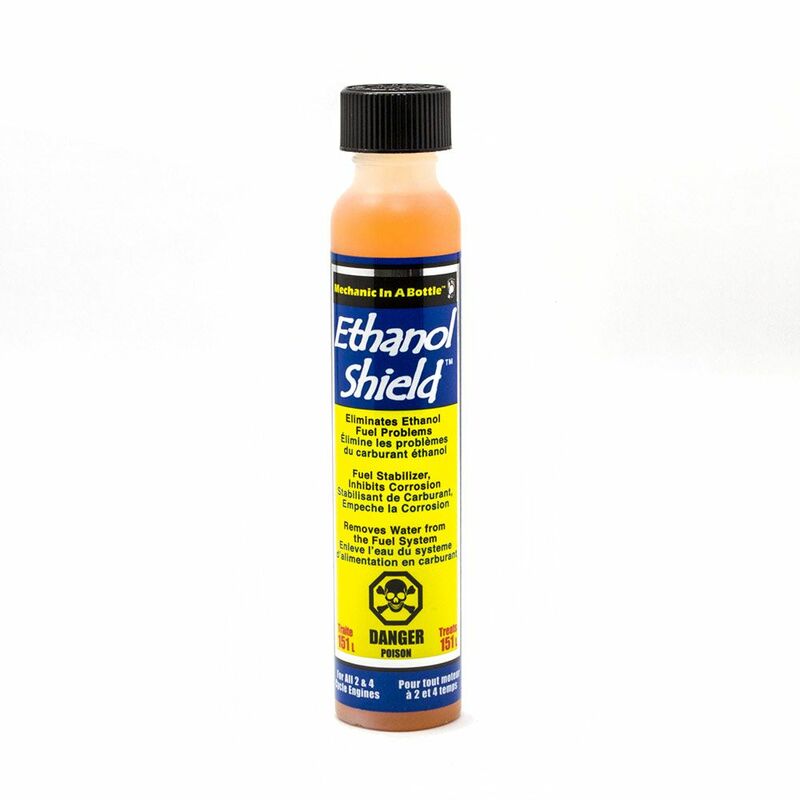 Ethanol Shield Fuel Stabilizer 118 mL is rated 5.0 out of 5 by 1. Rated 5 out of 5 by cranky from great stuff Put this product in my Honda Mower as well as my Stihl chainsaw what an amazing difference. Starts first crank consistantly now and that was not the case before. save yourself on tune ups and frustration add this to your fuel and start mowing.